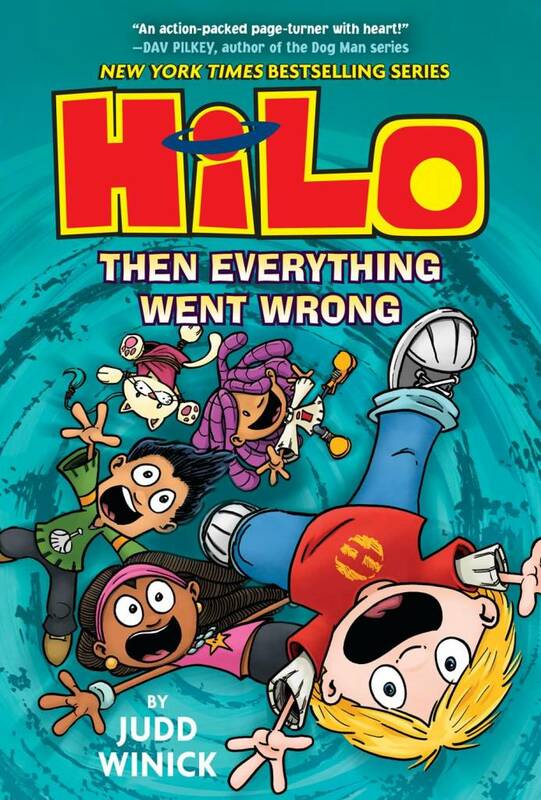 Take off on a new adventure and find out more about what really happened on Hilo’s world with HILO—the hilarious, action-packed New York TimesBESTSELLING GRAPHIC NOVEL SERIES that kids love! MORE ACTION! MORE FUN! MORE LAUGHS! MORE ROBOTS! What REALLY happened in Hilo’s world before he came to Earth? D.J. and our favorite space boy, Hilo, take a DANGEROUS trip to Hilo’s home planet to find out! But everything Hilo thinks he knows about his past is about to be turned inside out and UPSIDE DOWN! Hilo was supposed to save everyone…but what happens if it’s Hilo that needs saving?! Is ANYONE who we think they are? Can Hilo and his friends figure out how all the pieces fit…before it’s too late?! Look for Hilo #6: All the Pieces Fit, the finale of the first Hilo series arc-coming in Spring 2020, And get ready for the begininning of a brand-new Hilo story arc in 2021!